My wife and I came to Midland in 1954 as members of the Evangelical & Reformed Church in Lafayette, Indiana. We knew there was a merger underway with the Congregational Christian Churches. There were no E&R or CC churches in Midland. There were E&R churches in Bay City and Saginaw but we had no car. We wound up at Trinity Lutheran where we sang in the choir, worked with the Luther League and I became the Explorer Advisor. We met Phil White and his family. We were too liberal to be happy there. When we asked the E&R Board of Homeland Ministries why they couldn't start a church here, they said “we don’t start churches, you do.” Lester Kent, a local developer, advertised a new subdivision for the west side of town that would be “close to church”; when Dorothy asked him where he was going to get a church, he said he did not know, but would you like to start one? On March 31st, 1957, Dorothy and I had Sunday dinner in the Parsonage of St Marks church in Saginaw (the Reverend Kalkbrenner) with the Reverend Henry Kroehler, Minister of the Michigan-Indiana Synod of the Evangelical and Reformed Church. We talked about the possibilities for an E&R church here. The next day he came over to look around. In October the Synod Mission Board came to see the town and asked us to announce a meeting to see who might be interested in a UCC Church. St Marks folk provided refreshments for 6 new couples who learned from the Mission Board about the UCC. We were notified the night before Sugnet School meeting that Memorial Presbyterian received property for Chapel Lane start. Soon after we got started, First Methodist started Aldersgate. We think we may have started 3 churches! By February of 1958, 3 ½ acres were purchased at the corner of Belaire and Stumpfig Streets, a Parsonage was purchased around the corner on Laurel Lane, and Henry was looking for a Minister. 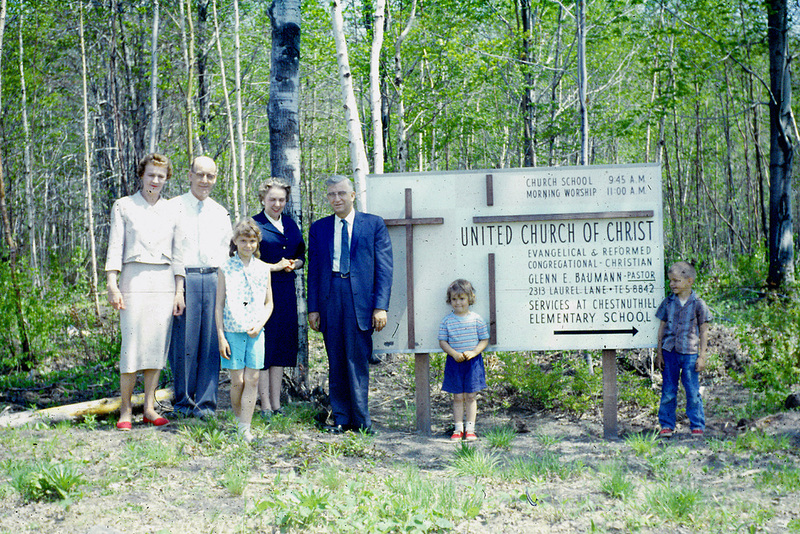 In January of 1959, the Reverend Glenn Baumann arrived to organize this church. He canvassed the neighborhood, introducing himself and the Church and inviting people to come. 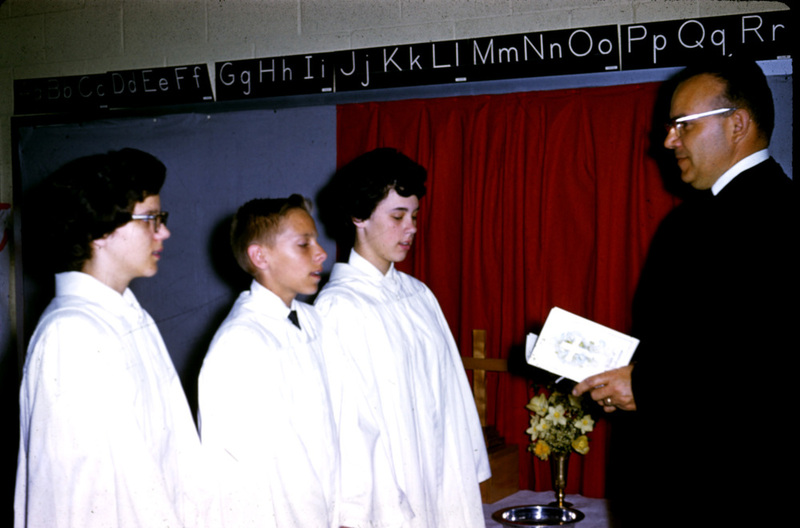 The first service in the school next door was held February 20, 1959. By then Glenn had acquired a new young couple ready to be choir director and organist! All 18 of us stood at the door to the Kindergarten hoping someone would show up. We formally organized on February 14, 1960 with 51 members. Eleven of the Charter members are still active today. 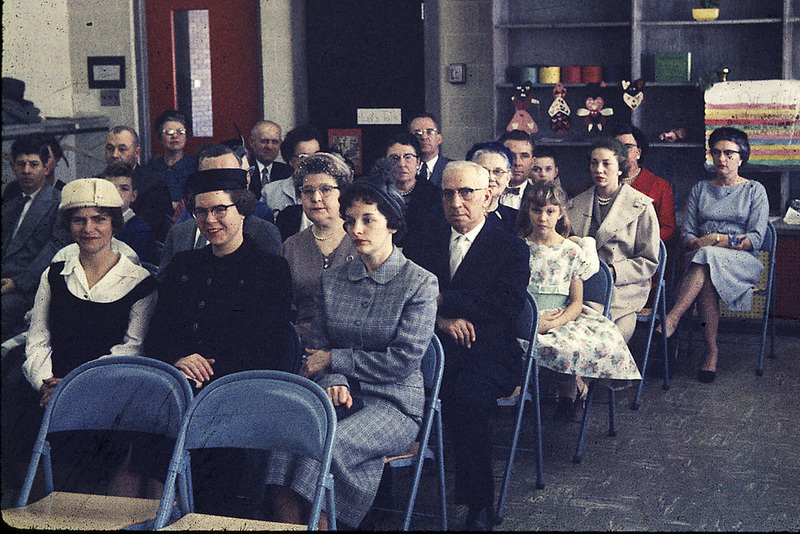 This congregation was organized as a United Church before the State Conference of the UCC came into being. We held dual standing in the Michigan-Indiana Synod of the E&R Church and the Michigan Conference of the Congregational Christian Churches. Support from the Conference Board of Homeland Ministries and the UCC Department of Church Extension made this church possible. In gratitude for this support, we continue to give generously to OCWM. The year we organized was also the time of the first “sit-in” in North Carolina. This congregation was deeply involved with the Civil Rights issue. The leadership of our Pastor led to the establishment of the first Commission on Community Relations in Midland. The first African-American professional family came to Dow Chemical in Midland in 1960 and joined our church in 1962. They are still active here. The second African-American professional family came to Dow in 1964 and also joined our fellowship. This led to major involvement in the Bay City Branch of NAACP. One Sunday morning in Nov ’68, 3 members and the church had crosses with white sheets on their lawns, apparently because they had been outspoken about Gov Wallace as a presidential candidate; the Armentrouts, Berners and Fauvers. We were also prominent in community discussions concerning the Vietnam War. Our members continue to be leaders in various social action efforts in the community. 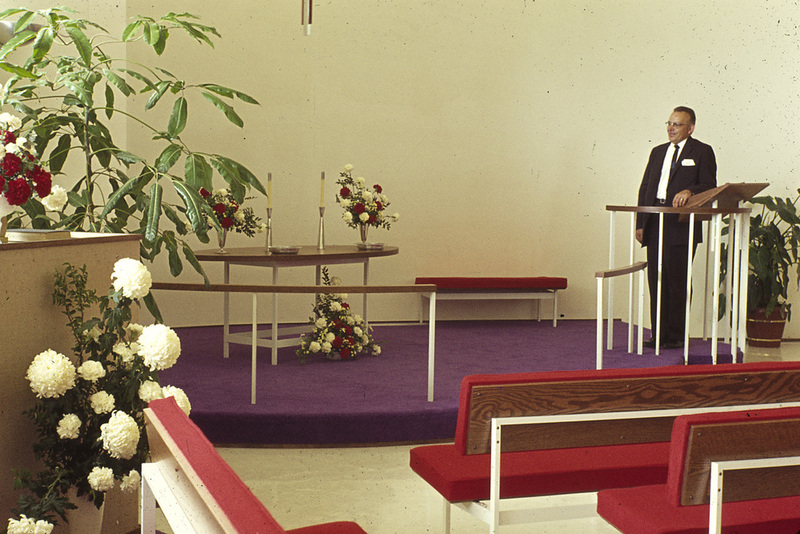 In June of 1964, with the membership nearing 200, we dedicated the sanctuary. We chose to build the sanctuary first, convinced that unless we reached the parents, we could not effectively influence the lives of the children. The inner walls were all temporary so that with future expansion the sanctuary would become as it is today. The ecclesiastical red pews and the purple of the carpet remind us of both the joy and penitence demanded of contemporary Christians. The clear glass windows remind us constantly that our worship takes place in the world in which we are called to daily witness. The roof is a hyperbolic paraboloid in geometric terms, supported completely by the two buttresses. The building has a rhomboidal plan and is built beneath the self-supporting roof. Each buttress contains 45 yards of concrete and 10 tons of reinforcing steel; the buttresses are held together beneath the floor by a reinforced concrete beam. 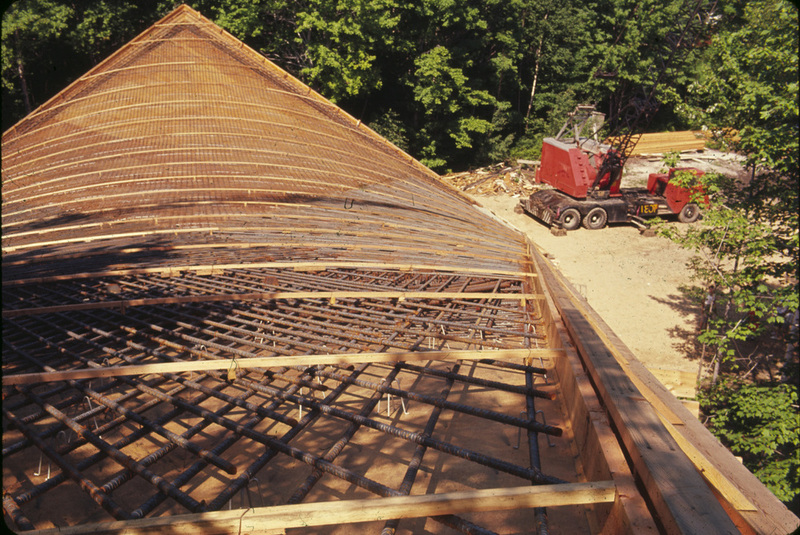 The roof contains 157 tons of light-weight concrete reinforced with 23 tons of steel. It was done in one continuous pour, with trucks coming from all over the area all day. The roof spans 148 feet from point to point and the buttresses are 80 feet apart. As we grew into the ‘70s we added the “stem” and some class rooms. The nuclear power plant proposed for construction in Midland was the discussion topic. In 1977 we installed our organ. It is a free-standing single-manual tracker, built by John Brombaugh in Ohio. Patterned after the small pipe organs of 16th and 17th century Germany, its clear, pure tone serves our contemporary congregation well. As a member of the Board of Directors at MidMichigan Medical Center from 1979 until 1983, Reverend Baumann was instrumental in shaping the Center’s humanistic attitude of giving quality medical care in a compassionate, dignified and ethical manner. He continues to be honored by the annual Glenn E. Baumann Memorial Lectures at the hospital. The ‘80s brought significant change. We had 470 members. We hired an Associate Pastor and appointed a building study committee for expansion. We sponsored a Mung family from Laos. In 1983, Glenn Baumann became ill and retired; the Reverend Dr Orville McKay (1st Methodist) became our interim. Our Associate resigned. In September of 1983, the Reverend Kent Ulery arrived; Rev Baumann died suddenly a week later. We authorized a fund drive to complete the education wing and add a fellowship hall. Baumann Fellowship Hall was dedicated in 1984. Peace and justice were concerns through the ‘90s. Corporate downsizing hit Midland hard and touched our congregation as well. There were many corporate transfers, both out and in, so even though we took in new members, membership held around 400. We worked on our Mission Statement and studied new programs. Nurture was important. In 1996, Kent Ulery resigned to become Conference Minister. After an interim ministry with the Reverend Ken Whitwer, we welcomed the Reverend Pam Branscome in September of 1997. Pam was our 3rd Pastor in 40 years. We welcomed the year 2000 by paying off our mortgage 2 years early. We also revised our By-Laws and developed a set of Policies and Procedures for continuity of operation. 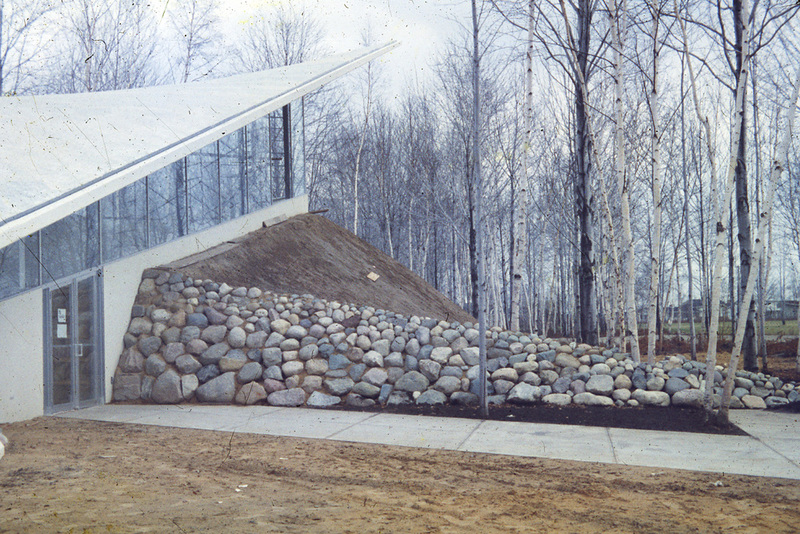 A Memorial Garden was completed in Fall 2000. In March of that year the Reverend Sue Weir was called to serve as Intentional Interim Pastor. The first decade of the 21st century proved to be an active one. In 2004, after a two year period of discussion and study, the congregation voted to become Open and Affirming. In April of that year the Reverend Roger Pancost was called to serve as pastor. The following year the children and youth of the church, under the guidance of the Board of Educational Ministries, raised $5,000 for the Heifer Ark project. That same year our church partnered with another congregation to sponsor, and build, a home for Habitat for Humanity. This sponsorship included providing half the funds needed to build the house, as well as 1/3 of the total labor. In 2007 the church celebrated the ordination of Katy Headbloom. In 2008 the church re-started the tradition of sending the Youth Group on a Mission Trip. Our youth traveled to Heifer International's Overlook Farm in Massachusetts as a follow-up to raising funds for a Heifer Ark. In 2010 the church celebrated its 50th anniversary. Special programs and services of worship were held throughout the year. In the following years the members of the church provided the funds, and the labor, to restore the interior of the building. This project included painting all of the walls, restoration of the pews, pulpit and communion table, new lighting and carpeting. Much of this work was completed in time for a 2013 city-wide architectural tour that our church participated in. As we find ourselves well into the second decade of the century this church continues to be active in worship, fellowship, service, and learning. In 2013 our Youth Group went on a mission trip to Hiram, Ohio. That same year our church participated in an interfaith project with the Jewish and Muslim community titled, Choosing a Culture of Understanding. The church also hosted a training session for Our Whole Lives and offered its first series of classes for this faith-based sexuality education program. During the second decade of the 21st Century the UCC choir, under the direction of James Hohmeyer, has continued to grow in numbers and enthusiasm. A bell choir has been added to the music program and provides music for worship throughout the year. The Music Committee continues to host a series of concerts that honor the founders of this church. Throughout the years this church has offered support to a number of area mission projects. Recently the church helped to restore a room at Shelterhouse, which is the local women’s shelter. In addition, many individuals from the church volunteer at the Shelter House resale shop. Each June, members of the church volunteer with a project in Saginaw, Michigan called One Week One Street. This project helps to renovate homes in an economically depressed neighborhood. The reactivated Social Concerns Committee is involved in inter-faith dialogue and support of refugee resettlement. In 2016 the church offered opportunities for adults to discuss issues regarding racial equality. Under the leadership of our Director of Educational Ministries, Jennifer Ringgold, our Youth Group attended the United Church of Christ National Youth Event in Orlando, Florida in July of 2016. For the past three years Jennifer Ringgold has also led a week-long Vacation Bible School which is enjoyed by many children and over thirty volunteers. It is with great joy that we continue to see an increase in the number of families with children who are participating in the life of this church. 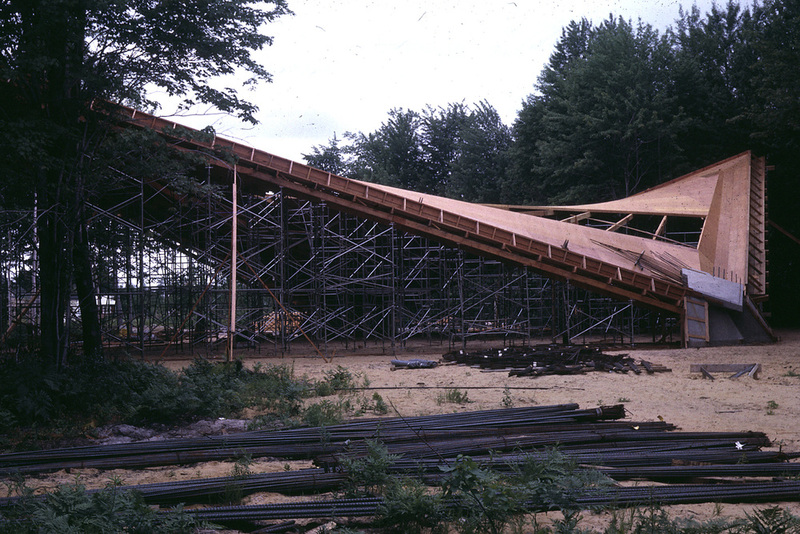 You can read more about the history of the church at Michigan Modern.